Expert, timely and accurate bookkeeping, reporting and analysis by a QuickBooks professional. 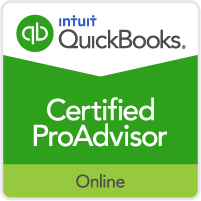 I can set up and maintain a custom QuickBooks accounting system for you, in either the classic QuickBooks desktop version or the increasingly popular QuickBooks Online version. Or, I can work with, troubleshoot and if necessary, fix your existing system. I’ll determine and establish processes and procedures for the effective execution of all your bookkeeping tasks, based on the way you do business, and for the efficient flow of financial information. With these internal best-practices in place, you will be able to see how well your company is doing, and have the ability to react quickly and confidently as you make the day-to-day decisions required to run your company. I can provide a full set of services in any edition of the desktop version of QuickBooks or in QuickBooks Online. I can even set up cloud-hosting services for your “QuickBooks anywhere on any device” use. Enter all your business transactions into your customized and modifiable general ledger. As the core of your financial record keeping, everything feeds to your general ledger. The categories and classifications of the various income, expense, asset and liability accounts in your books’ Chart of Accounts are crucial to the kinds of reports, analysis and other information you’ll want from your data. I will evaluate your existing structure and, if beneficial, make modifications based on your industry, your company and the way you do business. If your company categorizes certain expenses as Cost of Good Sold, then it is important that these accounts be aligned with their related income accounts. The verification of the month-ending book balance with the bank and credit card statements, and prompt notification of any discrepancies. Create professional looking custom invoices, enter customer payments, and produce monthly statements and accounts receivable tracking. Always know who is paying you on time, and who is not. Enter bills and make payments, produce detail reports such as vendor balance detail, unpaid bills, aging and vendor listings as well as tracking the bank balance. Never bounce a check again. Record and categorize income and expenses, produce a balance sheet, and a profit and loss statement (Income Statement). Your CPA will be able to complete your tax returns in less time and to your maximum tax savings advantage. I will design and automate the custom reports you need each week, month, quarter, etc., so that you can pick them from a menu whenever you need them. 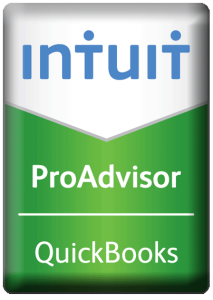 Create and run all your payroll entirely within your QuickBooks system, or set up a full-service payroll service through my association with Intuit (the makers of QuickBooks) that will automate virtually all your payroll components including calculating paychecks, paying state and federal taxes, filing returns, generating the reports, and downloading all the data directly into your QuickBooks file. And direct deposit for employees is available at no extra charge. I can also manage your payroll through any commercial payroll services such as ADP, Paychex and others. Sales & Use Tax Preparation and Returns – Quarterly Estimated Tax Payments – Los Angeles County Business Property Tax returns – Workers Comp – Business Specific Compliance Tracking & Reporting – Systems set ups – Migration from QuickBooks desktop versions to QuickBooks Online. I want to make your bookkeeping and other internal accounting as painless for you as possible, and will work to keep all your records up to date so that you don’t have to pull your attention away from the business of running your company. for a complimentary evaluation of your accounting, bookkeeping and/or payroll needs.